The built-in areas on the flood-plains of the rivers and streams are prone to conventional/ riverine floods and erosion. The inhabited low-lying area and areas with poor drainage system are vulnerable to water-logging/ artificial/ urban floods. The haphazard habitations in the hill-side without caring for soil retention are vulnerable to landslides. The flat roofed Assam Type and thatched houses are vulnerable to storms and cyclones. The badly constructed RCC/ brick buildings in the city are vulnerable to earthquakes (as their fragile structures are more likely to disintegrate with the violent ground shaking of an earthquake) – the city as a whole being prone to earthquakes. The streets of the city being narrow at lots of places, the city is vulnerable to huge damage due to any case of accidental fire – because fire brigades would not be able to approach affected areas easily. Prior to any actual disaster, GMDA is responsible for undertaking and coordinating various short-term, mid-term and long-term measures to mitigate the effect of the disaster [and attempt to eliminate the occurrence of that disaster altogether]. Besides, it is also responsible along with ASDMA, NESAC and the District Administration to establish a Flood Early Warning System [FLEWS] or similar prediction/ preparedness system for other disasters as per the relevant NDMA guidelines. During the disaster, GMDA is responsible to coordinate the implementation of the mitigation measures [e.g. running of pumps during floods] – in association with the line department concerned [e.g. Water Resources Deptt. of the Govt. of Assam in the instant case]. After the disaster, GMDA has to assess new measures for disaster mitigation. 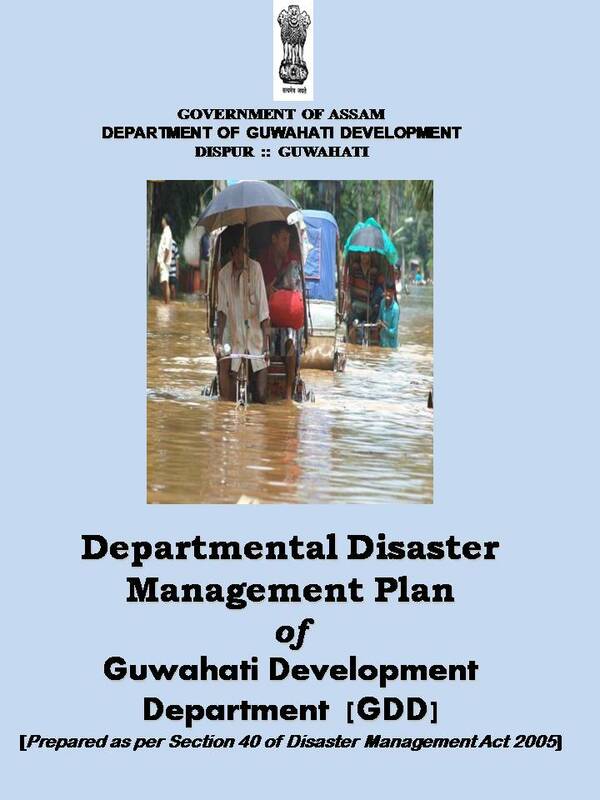 The Guwahati Development Department with its two component organizations – GMDA and GMC – are at the forefront of disaster management in the city of Guwahati in conjunction with the District Disaster Management Authority of Kamrup (Metropolitan) District. In order to achieve better co-ordination during disasters, the DDMA of Kamrup (M) has formed a Co-ordination Committee with the following members.